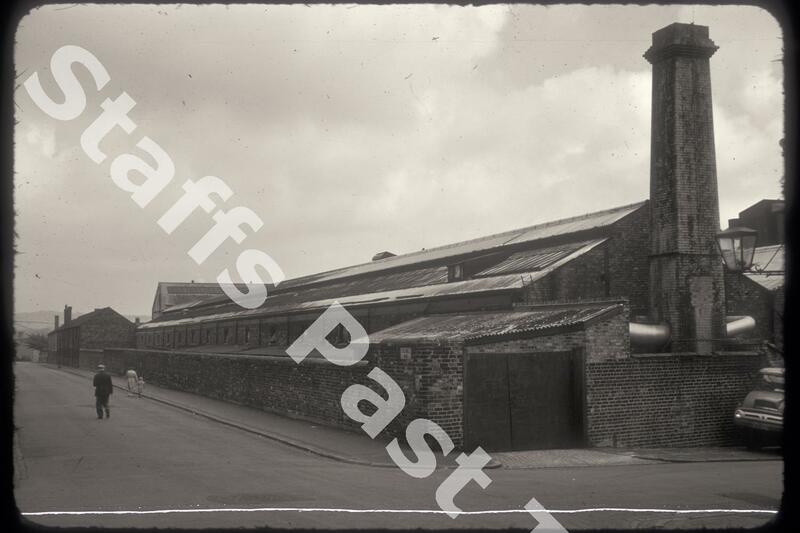 Description:This is the Cresswell Road side of J & G Meakin's Eagle Pottery works in Hanley. 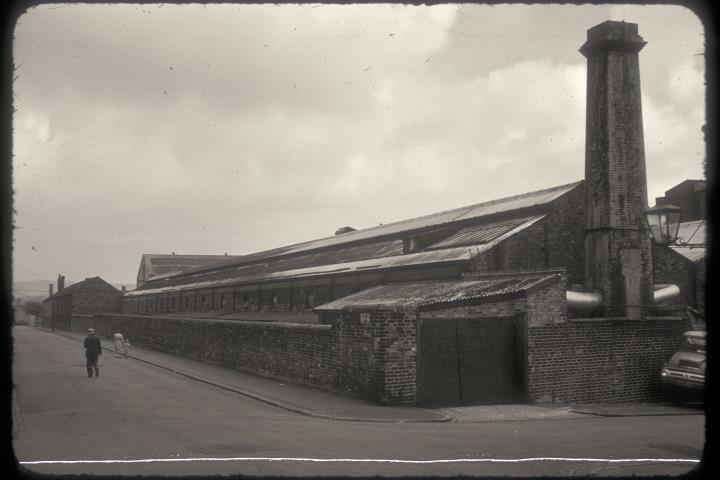 J & G Meakins was founded in 1851, originally in Hanley. They moved to the Eagle Pottery in 1959, a brand new works built on the outskirts of the town, alongside the Caldon Canal. The works concentrated on producing "white granite dinner and tea ware" until the company became part of the Wedgwood Group in 1970. Production ceased in 2000 although the works produced some of Johnson Brothers tableware until 2004. Demolition and clearance came in 2005 and the site is now part of the Waterside Development: a housing development between Ivy House Road and Lichfield Street. In the 1950s the skyline would have been marked with over a dozen chimneys. By the time of the photograph, coal fired bottle ovens had been replaced by gas fired kilns.